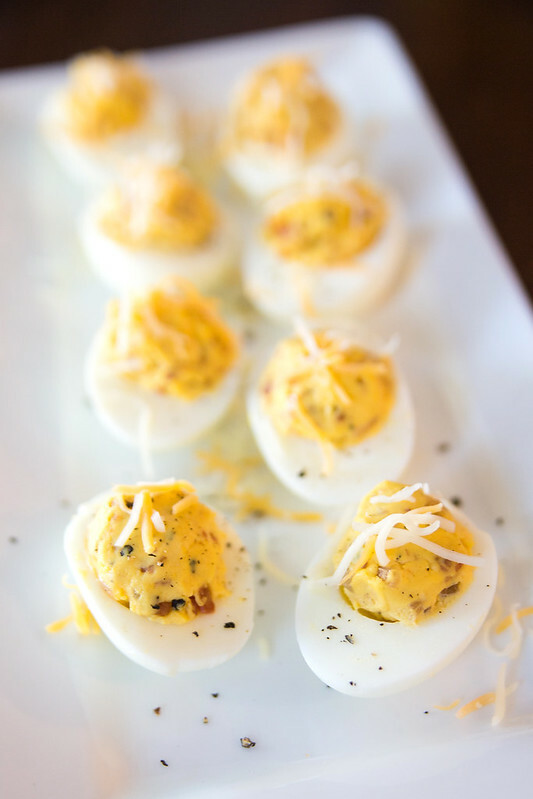 My favorite staple at any Southern get-together is deviled eggs. I grew up eating them, and it brings back fond memories of family reunions and time with my great-grandmother. 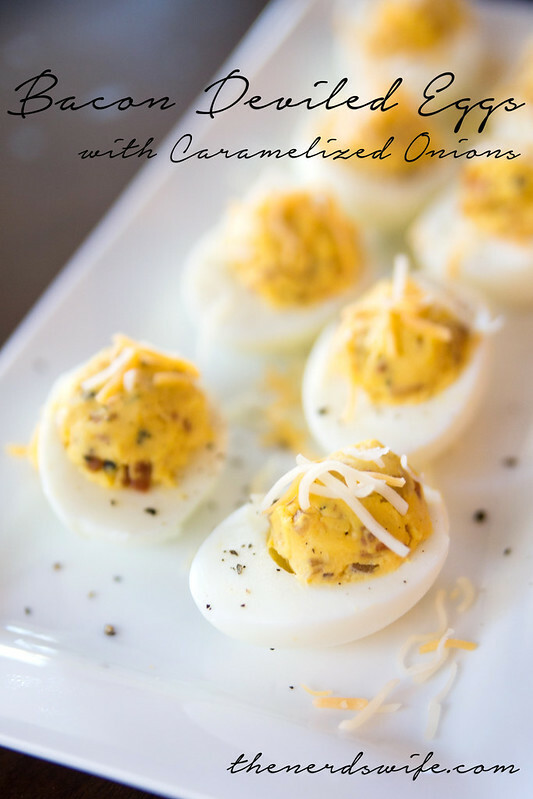 These Bacon Deviled Eggs with Caramelized Onions take it a step further by adding the delicious flavor of crispy bacon and sweet onions. 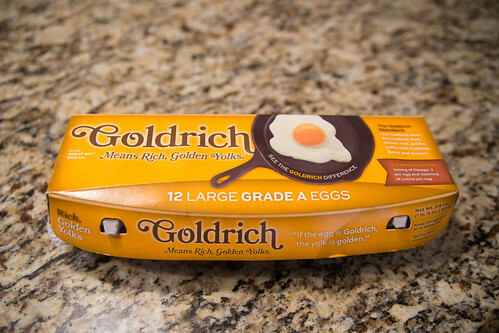 For this recipe, I used Goldrich Eggs. This was my first time trying their eggs, and I was so impressed by their rich, golden yolk with a distinctive texture and flavor. 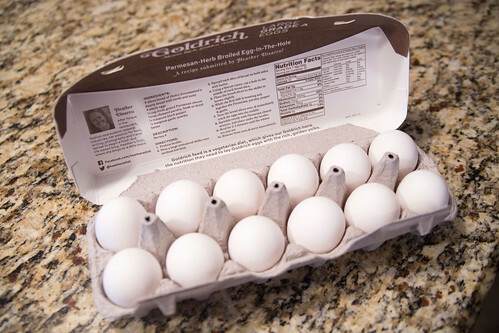 These eggs are cultivated using incredibly high standards at every step (the right hens fed the right diet) to ensure that your eggs will have the rich, golden yolks you love. They are offered in select locations across the US — click here to find a store near you that carries them! Add the eggs to a pot and cover with water. Bring to a rolling boil, then remove from heat and cover. Set aside for 13 minutes. Drain and cover in ice water. Peel eggs, slice in half length-wise, then remove yolks. Fry the bacon in a skillet until it’s crispy. Remove from grease, but don’t discard it. Crumble bacon into small pieces. Add the onions to the grease and cook until they are translucent and golden brown. Set aside. 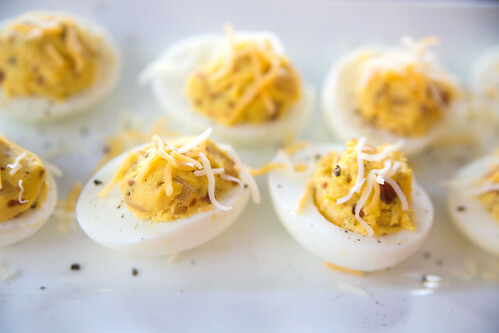 Add the yolks, bacon, mayo, onions, salt, and pepper to a small bowl and mash together with a fork. Scoop the mixture into the boiled egg whites and top with shredded cheese. Sprinkle with pepper to add a bit of color. 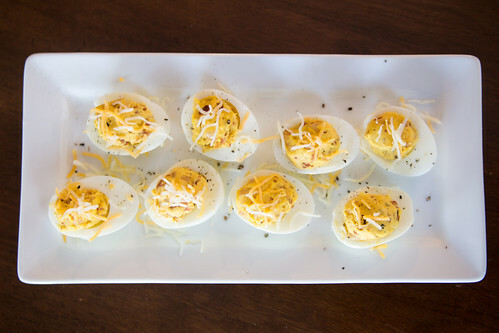 What’s your favorite way to eat eggs?